Cellgevity users report positive experiences after using the product. These testimonials are followed by research studies that explain why the product is effective. Max International (the company): “Every cell in your body is under a never-ending attack from free radicals and chemical toxins. 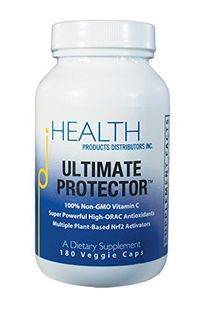 Glutathione is the cell's primary protector and detoxifier. It is your body's natural safeguard against accelerated aging. Unfortunately, your cells just can't make enough of it. Cellgevity™ provides your cells with patented nutrients that have been clinically shown to raise intercellular glutathione levels more effectively than any other supplement. Cellgevity features the patented nutrient RiboCeine™ combined with 12 synergistic ingredients scientifically selected to support and enhance the natural functions of glutathione.” Their website is max.com. The company states: “Backed by 25 years of research and 20 published and peer-reviewed scientific studies funded by the National Institutes of Health and other scientific institutions, RiboCeine was proven to significantly outperform all other means of glutathione enhancement.” However, as of March 2015 no studies of RiboCeine or Cellgevity were found on the National Institutes of Health database of peer-reviewed scientific studies.